Click on the links below for detailed history on and recommended historical resources. 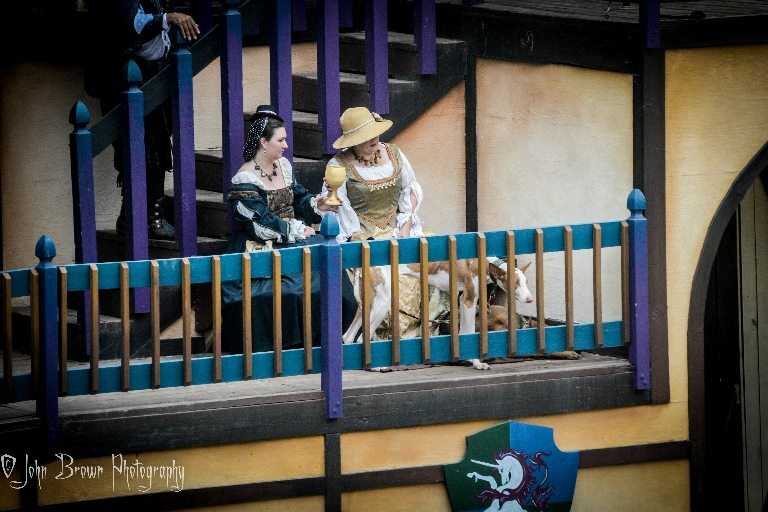 Probably the first group to ever formally perform with a Renaissance festival, in costume, was the Greyhounds of Fairhaven who work with festivals in the western part of the United States (Arizona Renn Fest most notably, as well as others in Nevada and California). 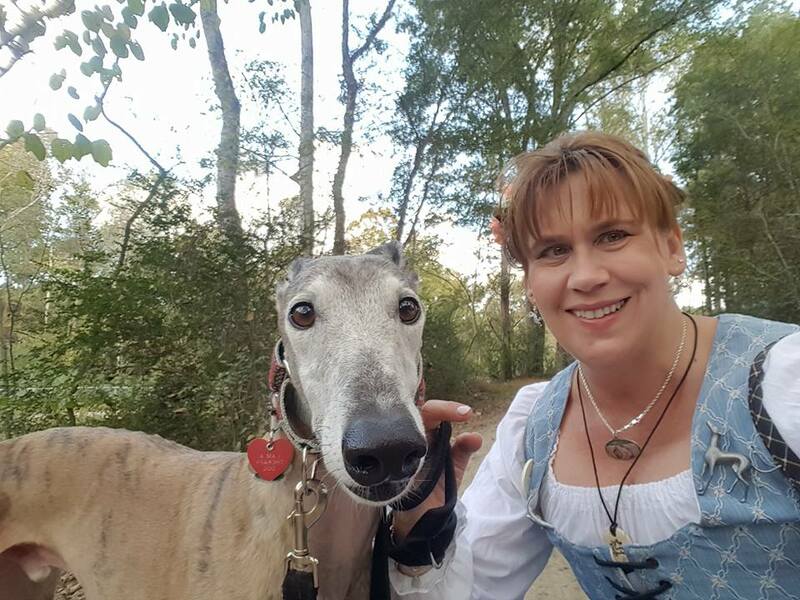 Founded by Mik Wilkens and her husband, the Greyhounds of Fairhaven became a part of the ARF cast. 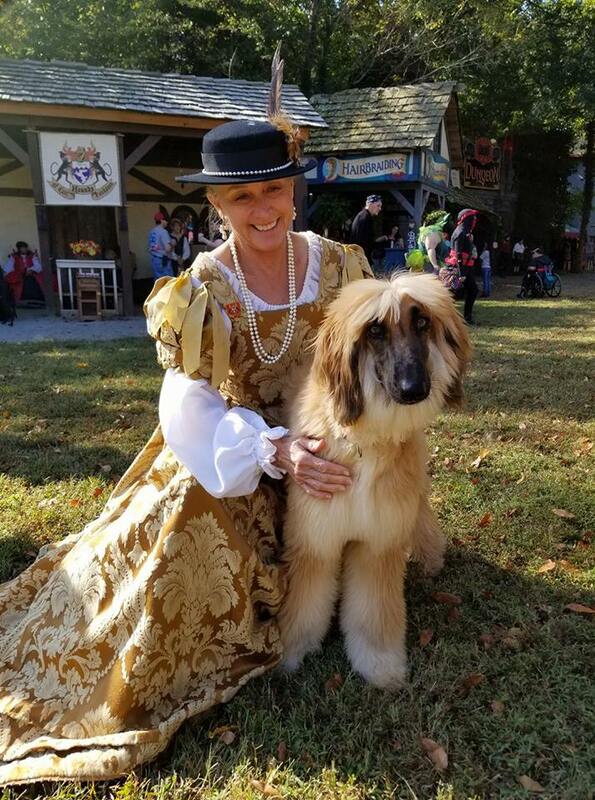 There are other groups across the country now, including Her Majesty’s Hounds in Virginia and my group, the Hounds of East Fairhaven working with the Carolina and Georgia Renn Fests. 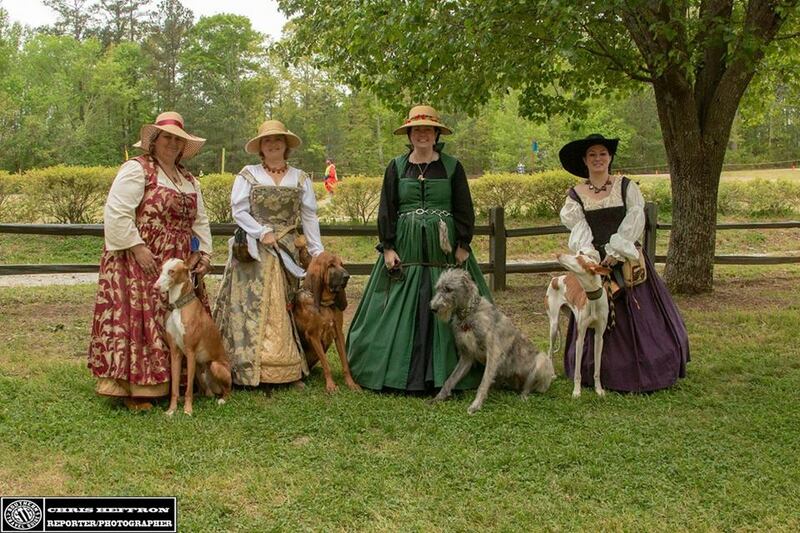 The Hounds of East Fairhaven was founded in 2001 at the Carolina Renaissance Festival. In its first incarnation, the group was named The Hounds of Ulster by His Nobleness, John Bullfrog, Lord Mayor of Fairhaven. 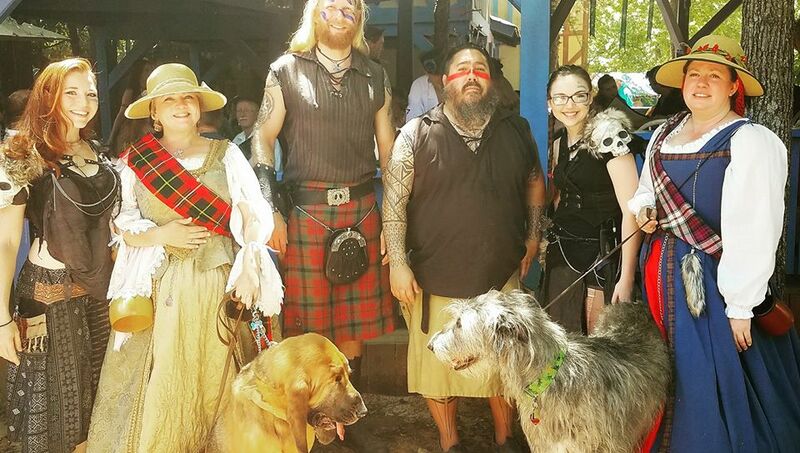 The name Hounds of East Fairhaven was suggested by the Greyhounds of Fairhaven members, as the Carolina Festival is a sister festival to the Arizona Festival. That way there would be no confusion between the two groups. Also, the name Hounds was chosen rather than Greyhounds because the group has members with various types of sighthounds. At the time, the rule was that if there is historical support for the breed existing during the time period, the owner could have them participate in the group. It was the belief of the founders that the more breeds that we represented, the more historically rich an experience the patrons would have. If you’re interested in performing with HoEF, please contact us using our contact form. Huzzah and well met! We’d love you to come play with us at festival!